The Fijian Government is grateful for a donation made by the Chinese Government just a few days ahead of the high level visit of its President Xi Jingping. 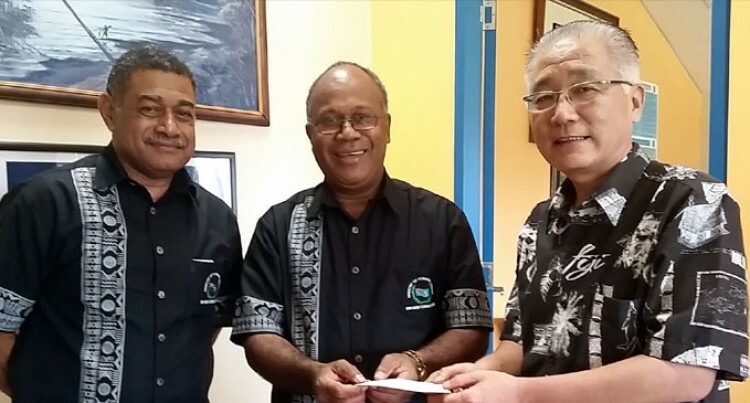 Ministry of Foreign Affairs Permanent Secretary, Amena Yauvoli, received FJ$518,557 from the Chinese Ambassador to Fiji, Huang Yong in Suva on Monday. The money received will help the Government to defray some of the budgeted cost agreed to by the cabinet to facilitate President Xi’s visit. Mr Yauvoli said the financial assistance was timely and they appreciated the thoughtful gesture by the Chinese government. Given the magnitude of the visit, Mr Yauvoli said it was crucial that they get all the assistance they could muster. “Fiji and China has a very close relation and we are thankful to them for coming to our assistance,” he said. The Ministry of Foreign Affairs, as the lead coordinator of this high level visit, is working hard with all its agencies and stakeholders to ensure the successful hosting of the State visit.